WE ARE GROWING IN 2018! As H.O.P.E. for Animals continues to help more people and pets, our business is growing! And we need YOU! We are hiring in both our Surgery Center and our Wellness Center. Full and part-time positions are available. Veterinary technicians, veterinary assistants and those with veterinary/animal welfare experience should apply! We offer great benefits such as paid holidays, paid time off, HRA plan, staff-fun days and more! On February 6th, H.O.P.E. for Animals completed our 70,000th spay/neuter surgery, it was for an adorable dog named Sandy! To celebrate this milestone, we provided Sandy's surgery for free! Each year we continue to make a bigger impact on pet overpopulation with our low-cost services. 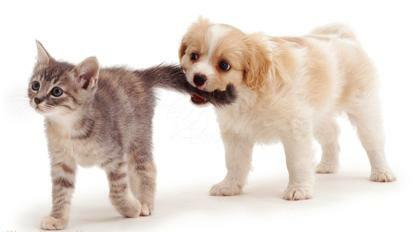 Thank you for trusting your furry companions to our capable hands. 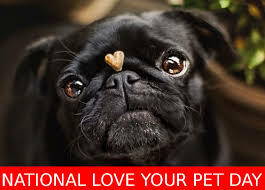 Today -- Tuesday, February 20th is National Love Your Pet Day! whose owners are needing help to cover the cost of their services. Today - you are helping to vaccinate, spay, or neuter a pet in need. 522 pets visited our Wellness Clinic! We are proud to share with our supporters that we have partnered with the Community Foundation of Greater Fort Wayne to form an endowment fund for H.O.P.E. for Animals. This fund will create an ongoing source of income for our organization so that we can continue our charitable work for many years to come. Would you consider making a legacy gift to our cause? When you make a legacy gift, you are demonstrating your commitment to our mission that is saving lives every day. H.O.P.E. 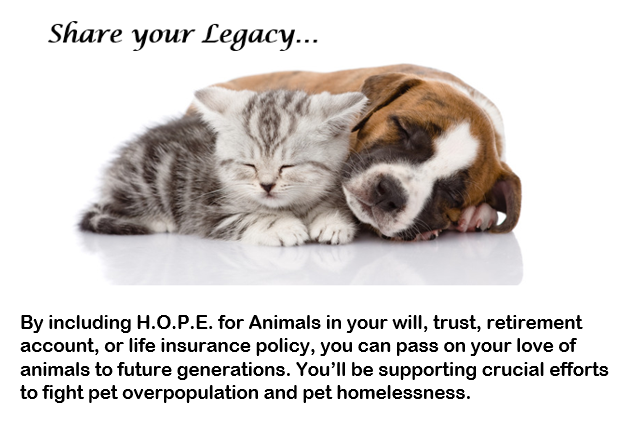 for Animals is dedicated to working with donors who are considering, or who have made plans, to leave a gift in their will, trust, or by beneficiary designation. 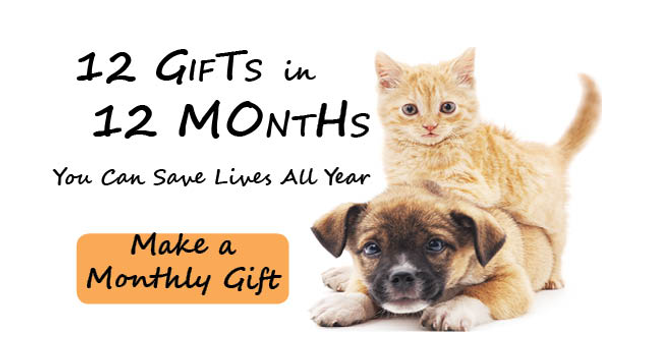 Your gift can be made in honor or memory of a loved one or pet, and deepens your commitment to improving the lives of animals in our community and surrounding communities. To learn more about legacy giving, please reach out to Allison Miller, Executive Director at H.O.P.E. 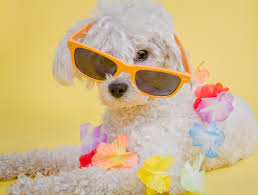 for Animals at AMiller@hfafw.org.